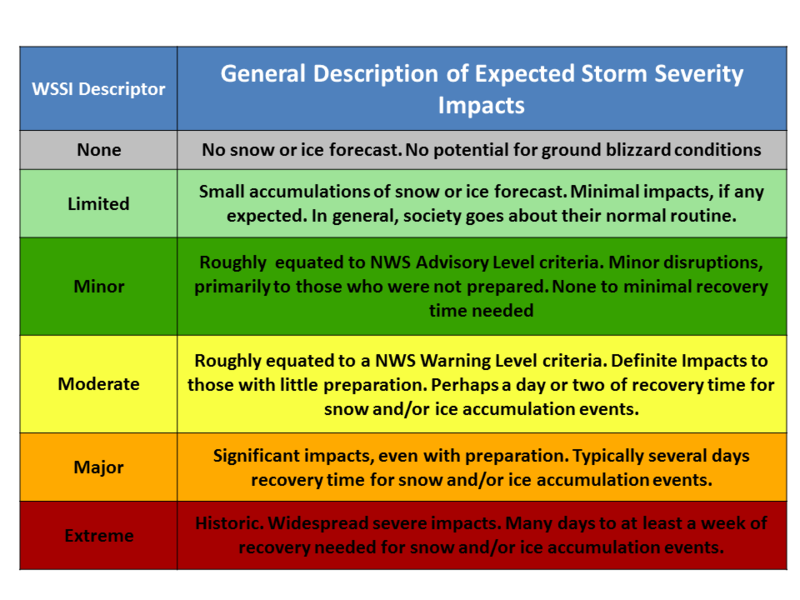 The purpose of the Winter Storm Severity Index (WSSI) is to provide NWS partners and the general public with an indication of the level of winter precipitation (snow and ice) severity and its potential related societal impacts. The WSSI does not depict official warnings, and should always be used in context with official NWS forecasts and warnings. Because this is an experimental product, it may not update in a timely fashion.